The two remaining women at the WPT Borgata Poker Open, Vanessa Selbst and Joanne Dorin are at the same table. Dorin just found herself all in preflop with two red queens against two....black queens. The board ran out peacefully with KJTxx and the pot was chopped. 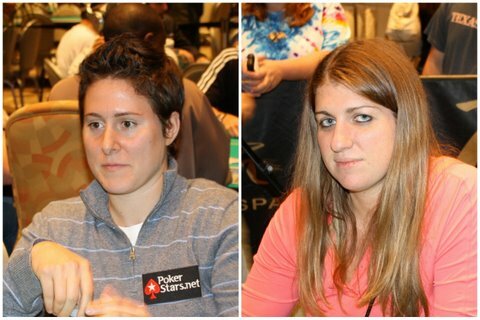 Selbst, who raise-folded preflop, joked, "I folded ace-queen. I would have gotten there." A few moments later, several players at the table laughed, remembering that there are only four queens in the deck.